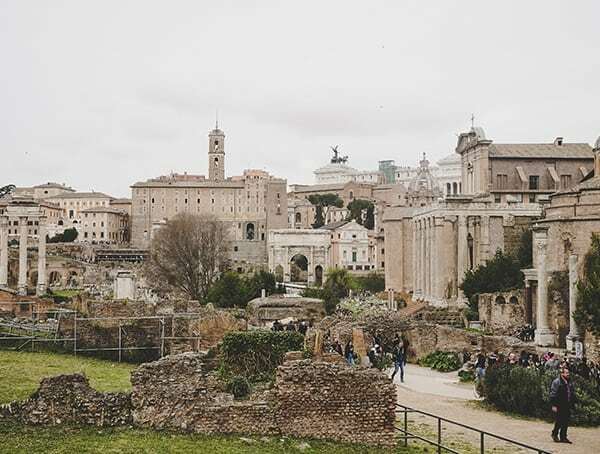 The Roman Forum is located at what used to be the heart of ancient Rome, between the Palatine and the Capitoline Hills. 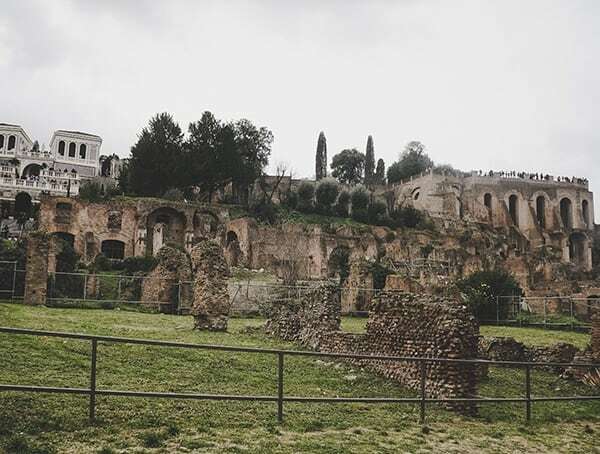 The Palatine Hill stands about 40 meters above the Forum on one side with the Circus Maximus sitting above the structure on the other side. 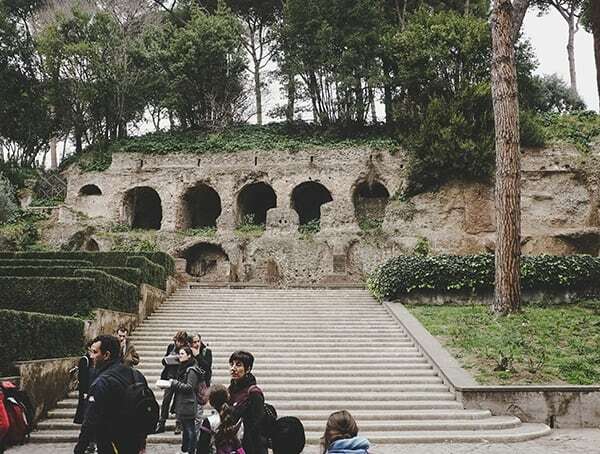 This location is one of the most ancient parts of Rome and is the centermost area of the Seven Hills of Rome. 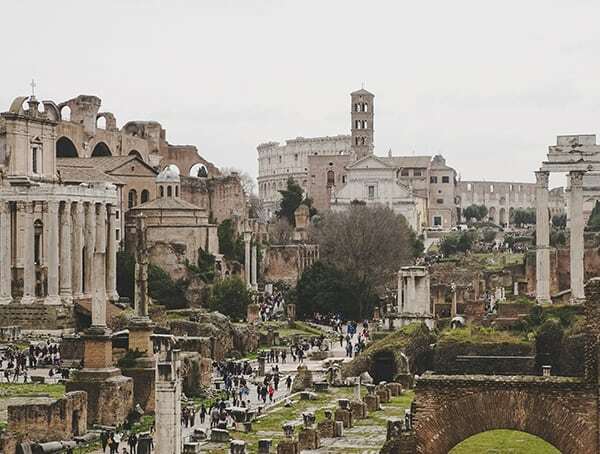 The Seven Hills of Rome refer to the seven hills that housed the settlements that came together to form the city of Rome. 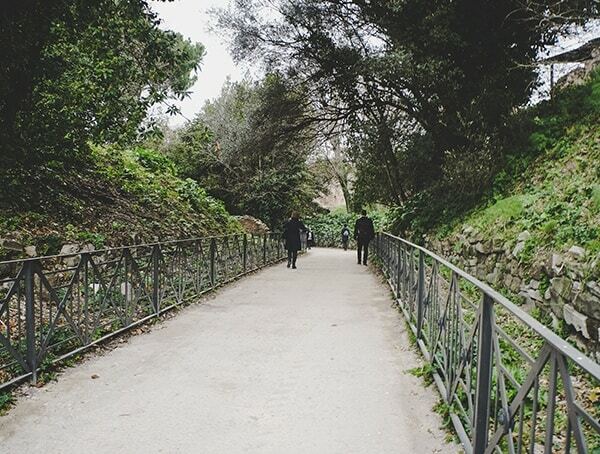 The Capitoline Hill is another of these seven hills and sits between the Forum and the Campus Martius. 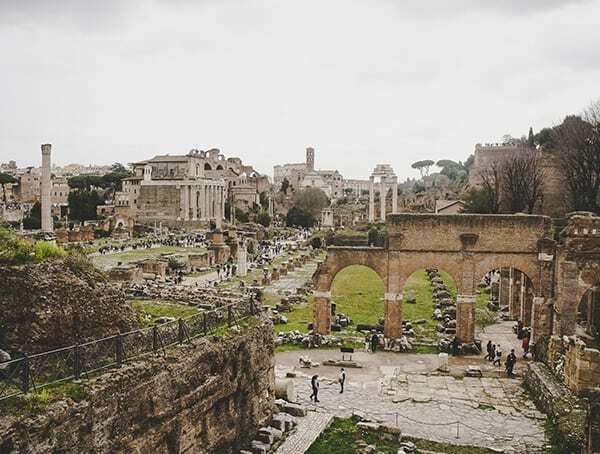 The Roman Forum was an open-air forum initially used as a day-to-day market. 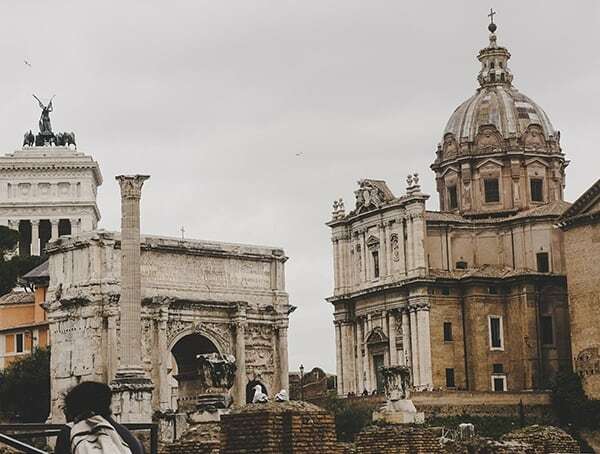 However, over time the location grew with the addition of new statues, basilicas, arches, and additional buildings to accommodate the growing society and its different needs. 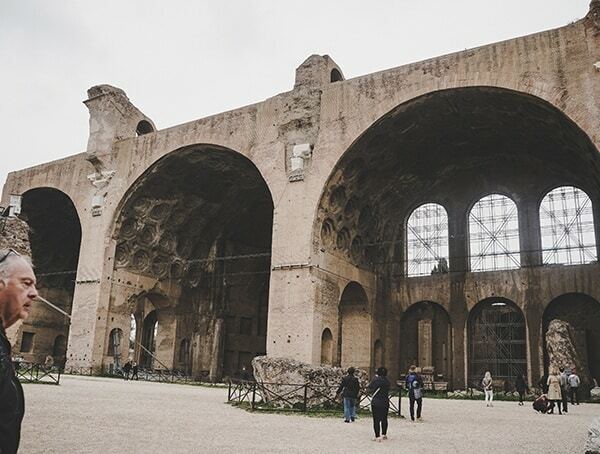 The location then became home to religious ceremonies, public meetings and speeches, social gatherings, criminal trials, elections, and before the Colosseum was built, gladiator matches. 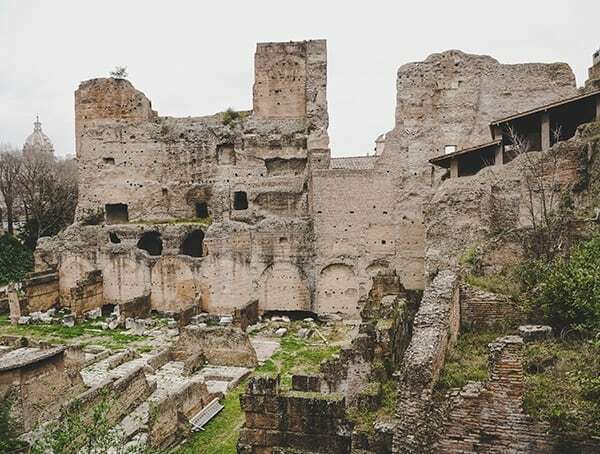 According to legend, Romulus, in control of the Palatine Hill, and Titus Tatius, in control of the Capitoline Hill formed an alliance in the swampy area later occupied by the Forum. 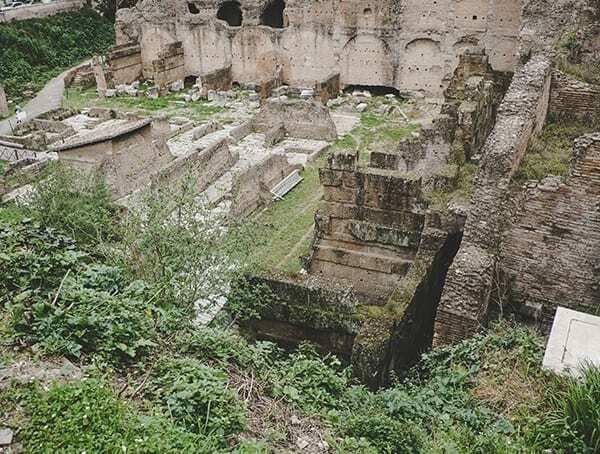 With the sewer system, Cloaca Maxima, built in the seventh century BC, the grassy wetland of what is now the Roman Forum was drained. 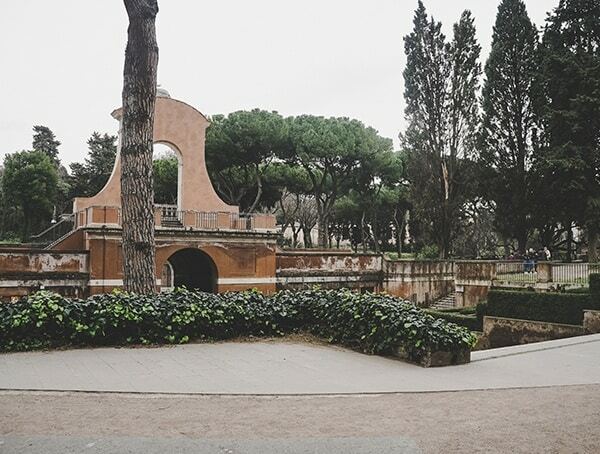 Originally, the Forum worked as an open- air market and a gathering place for the people of Rome. Structures were built to accommodate the expansive needs of the ever- growing population. 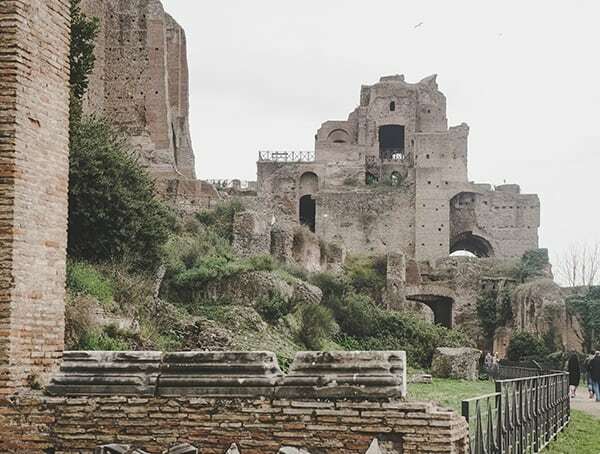 The Forum changes with the times. 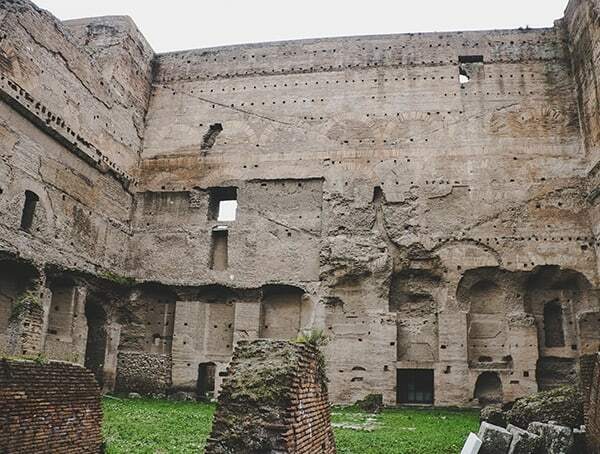 In the case of Numa Pompilius, Rome’s second king, this meant building the Temple of Vesta, which was a residence for Roman royals and was located at the southeast edge of the Forum area. 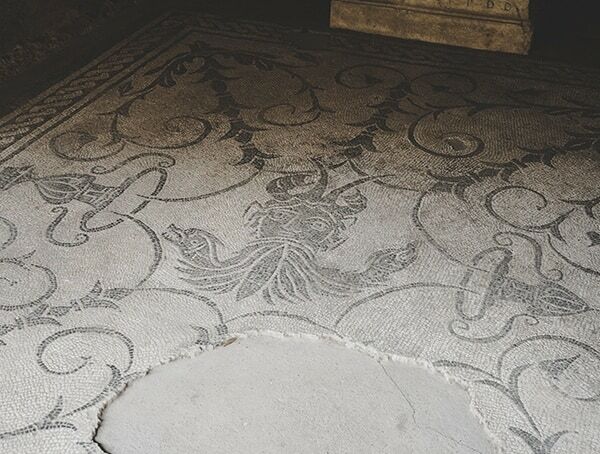 The Regia was also built at this time, becoming the first royal palace in the city. 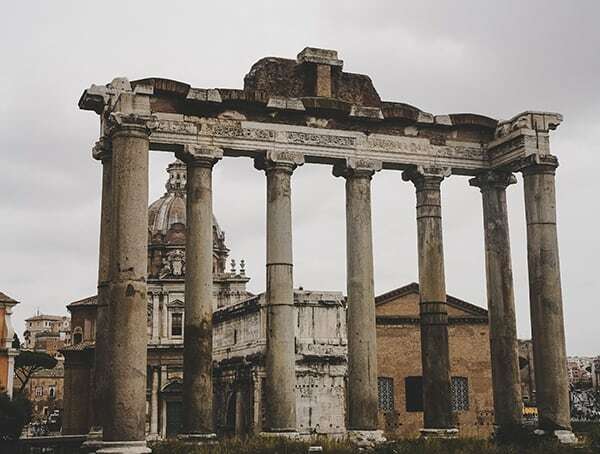 The Temple of Saturn and the Temple of Castor and Pollux were constructed in the Forum area in the fifth century BC, with the Temple of Concord built a century later in the same area. 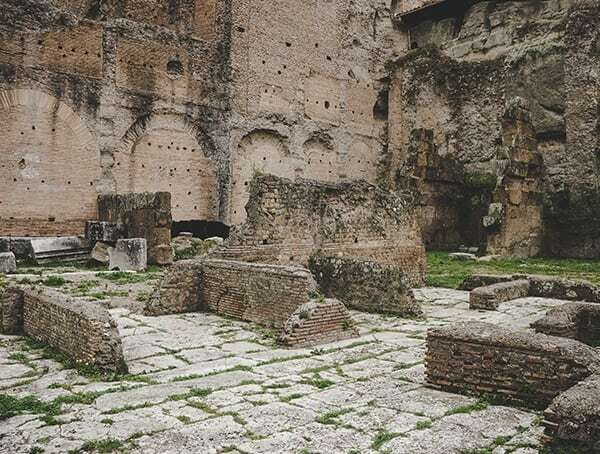 Balconies and tribune benches were added to this area for spectators to view the temporary arenas made of wood that would be assembled within the Roman Forum. 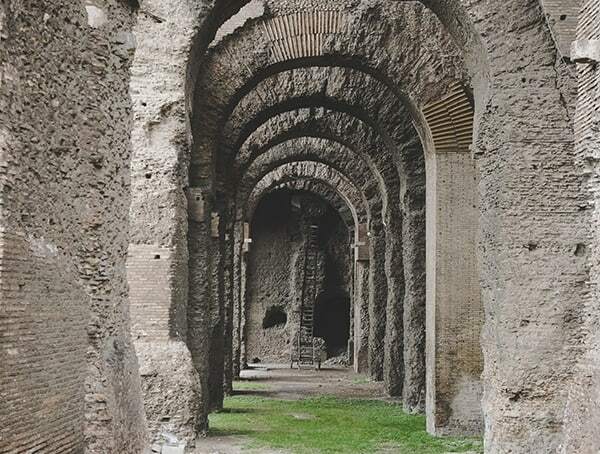 Additional basilicas and other structures were built and refurbished through the changing times. 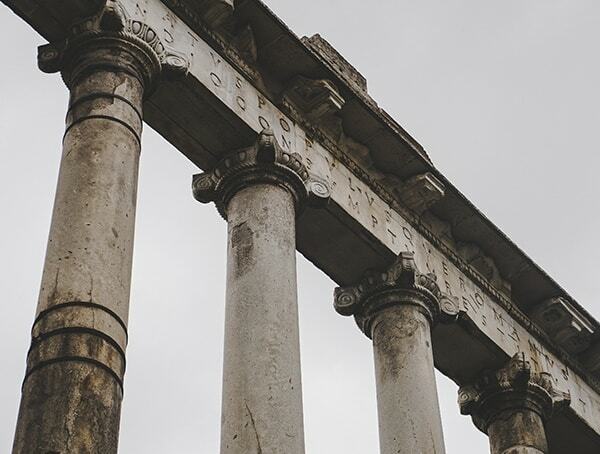 In the years following 80 BC, during the Sulla dictatorship, the Forum underwent major work. This work included moving the level of the plaza almost a meter higher, and positioning more permanent marble paving stones into place. 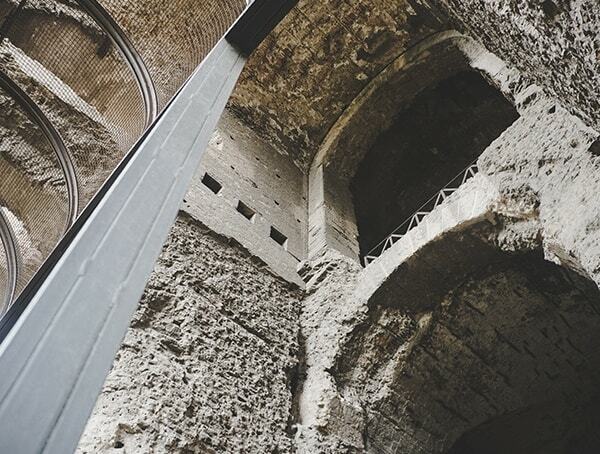 There was a large Tabularium, or records hall, built at the end of the Forum nearest Capitoline Hill in 78 BC. 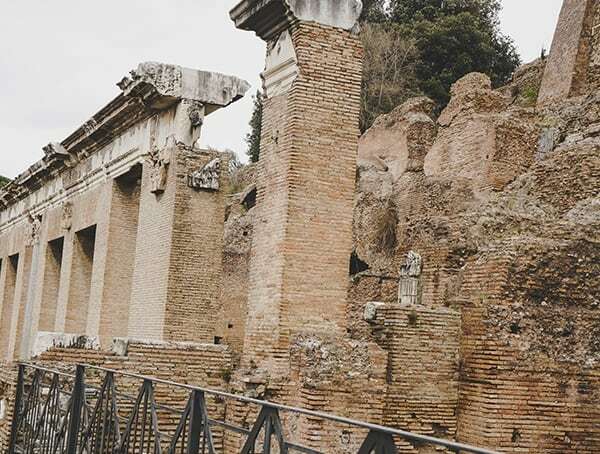 In the northwest, Umbilicus Urbis and the Vulcanal were built, and eventually made up the formal assembly area where the Senate has its roots. 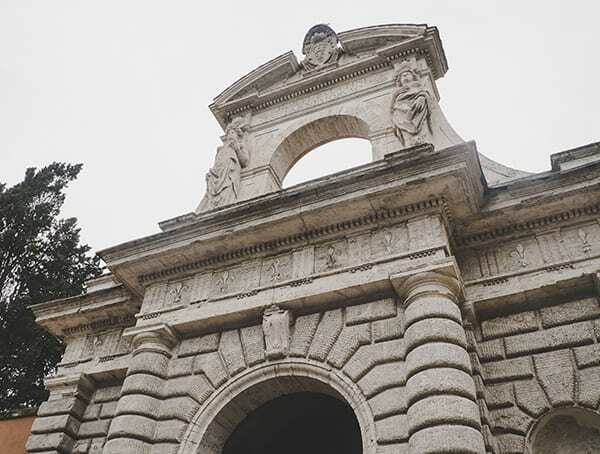 Eventually, the area was also populated with government offices, the Senate House, and tribunals in addition to temples, memorials, and statues. 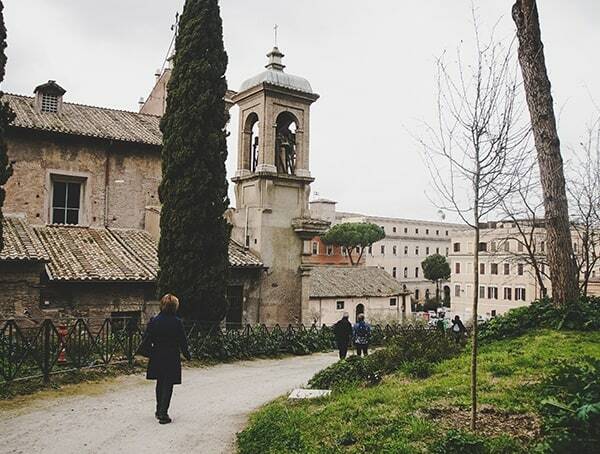 Later, Caesar had the Basilica Julia and Curia Julia built for government activities. 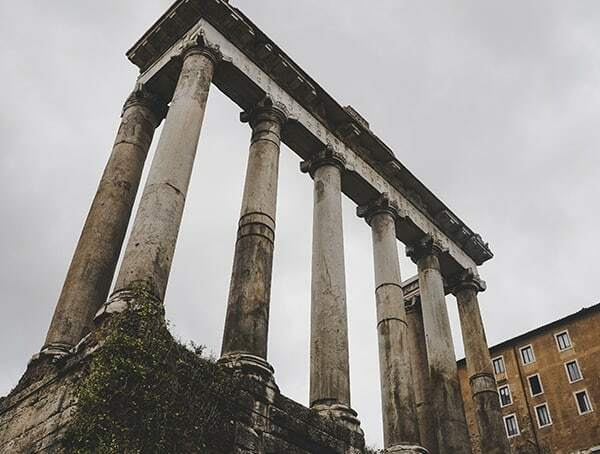 Two of the most famous events to take place at the Roman Forum happened in the same year, 44 BC and involved the famous ruler Julius Caesar. 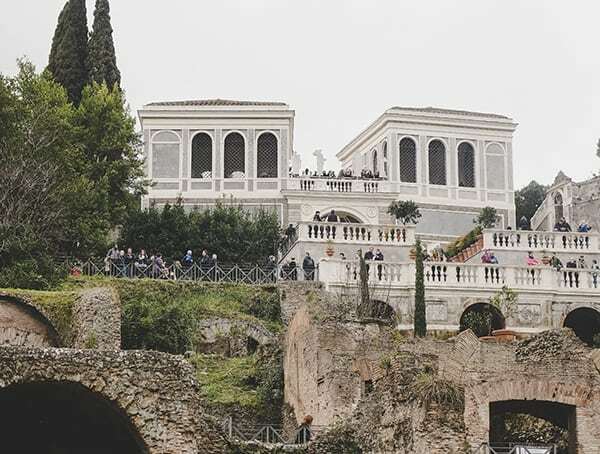 First was Marc Antony’s oration at Caesar’s funeral, and then the public burning of Caesar’s body. 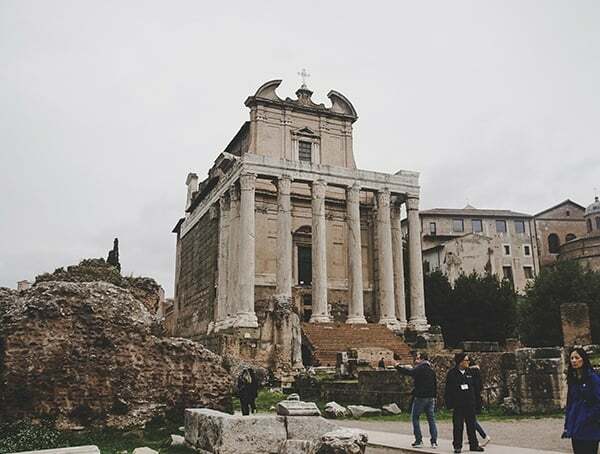 The Temple to the Deified Caesar was then built on this spot across from the speaking platform Antony used, known as the New Rostra. 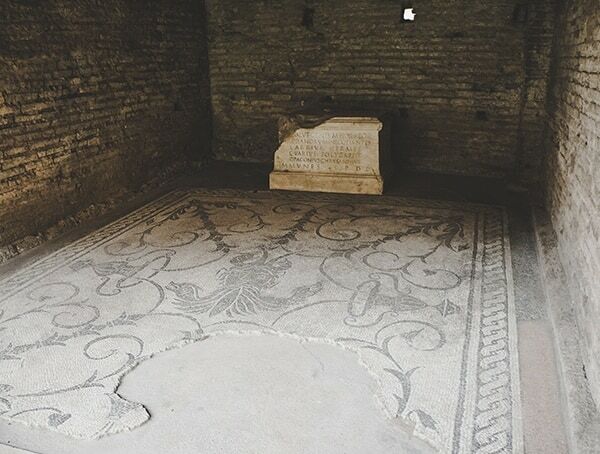 Two years later, Antony placed the severed head and right hand of Cicero, his enemy, for public display on this same spot at the New Rostra. 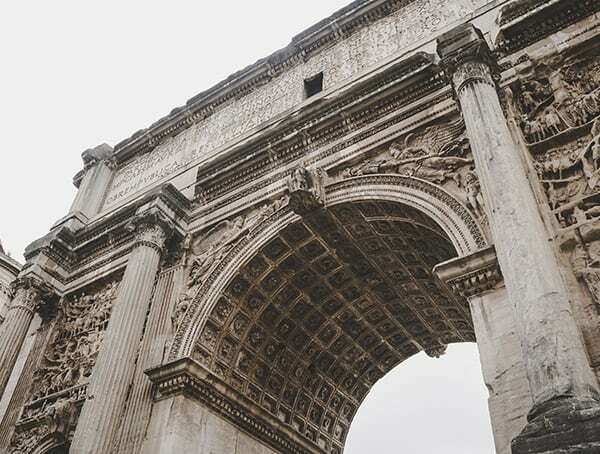 The final form of the Forum was decided by Augustus, he built the Temple of Divus Iulius and the Arch of Augustus at the southeast side in 29 BC. 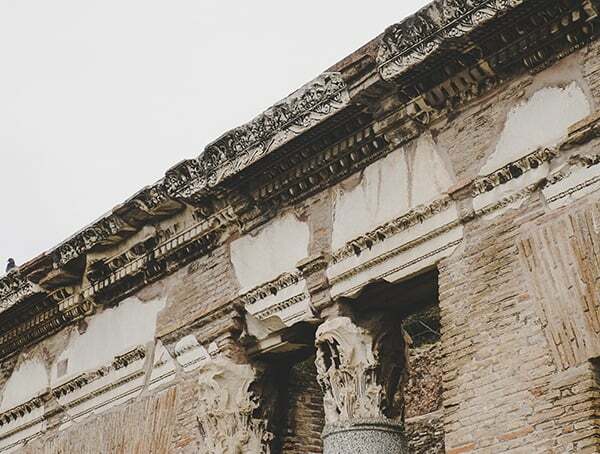 Over time, business moved to larger, newer, and fancier structures in the north, leaving the Forum behind. 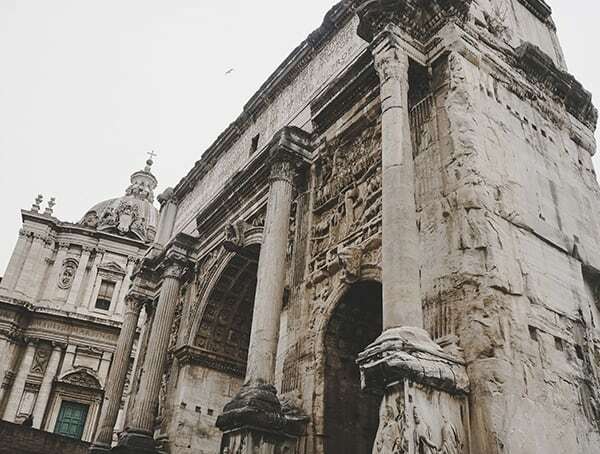 In 203 AD the Arch of Septimius Severus was built on the northwest end of the Forum by Capitoline Hill and dedicated to commemorate the Parthian victories. 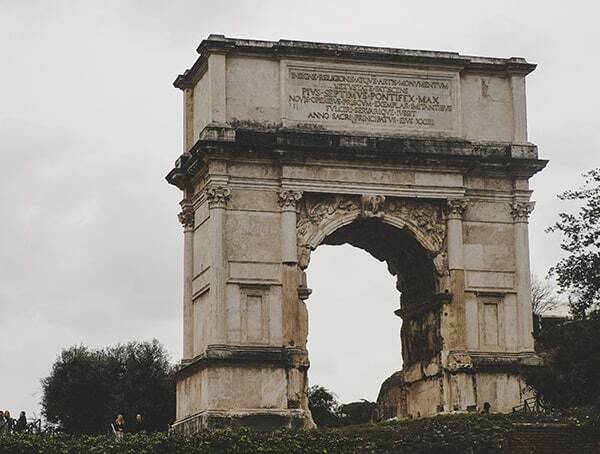 Today, this arch is still one of the most visible landmarks of the Roman Forum. 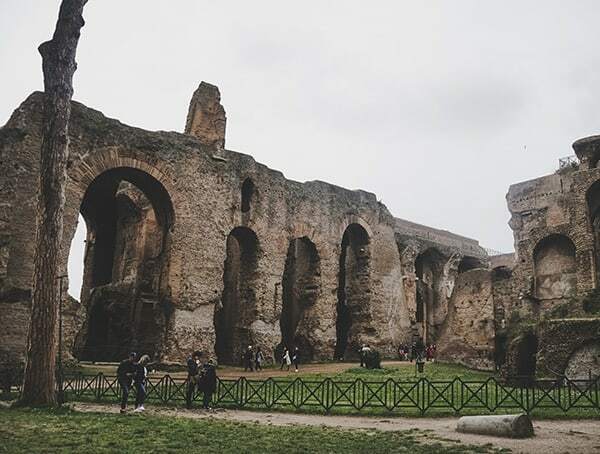 During Constantine the Great’s time in power, the last notable expansion of the complex including the Roman Forum was completed with the addition of the Basilica of Maxentius. The population of the city at this time is estimated to be around 800,000 people. 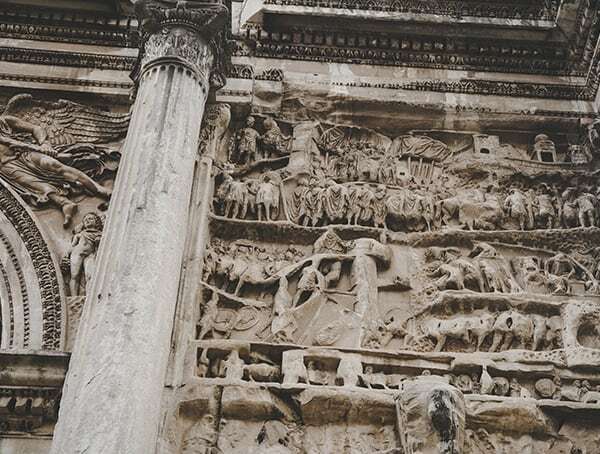 This dwindled over time to around 450,000 people in 450 AD down to 250,000 by 500 AD. During this time of low population, there was an effort to keep the Forum unscathed. 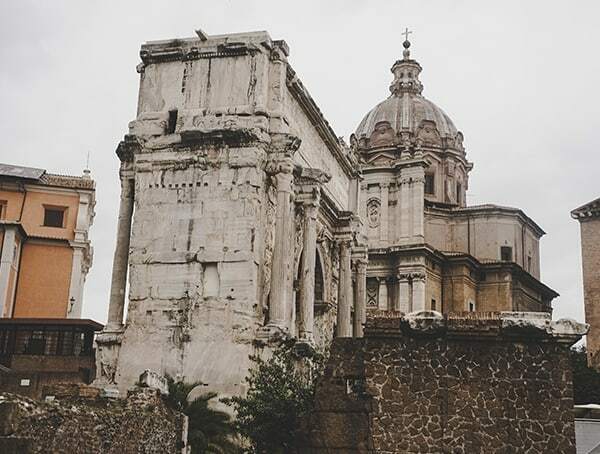 In the sixth century, many of the structures in the Forum that remained in good repair were converted into Christian churches. The last monument erected in this area was the Column of Phocas in 608 AD. Over time, the area deteriorated and was surrounded by Christian churches. Later after many of the structures were torn down and used for building castles and towers, the area became a dumping ground as these newer structures were dismantled. 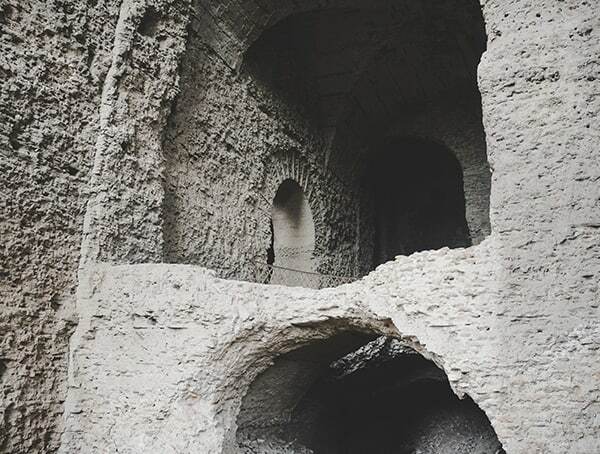 Much of the structure was buried underground over time. 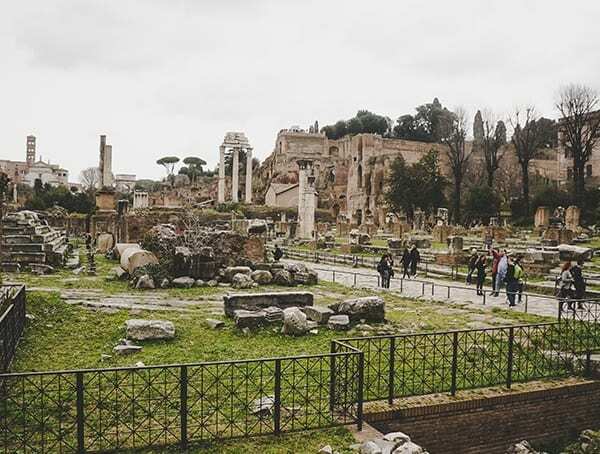 The Renaissance period saw the area of the Forum used as a quarry for stone and marble. 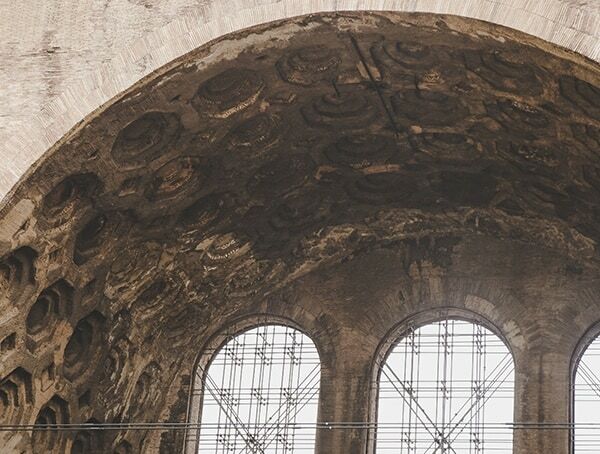 And then finally, in 1898 excavations in this area began to reveal the remains of this business and social center, revealing what we are able to see today. 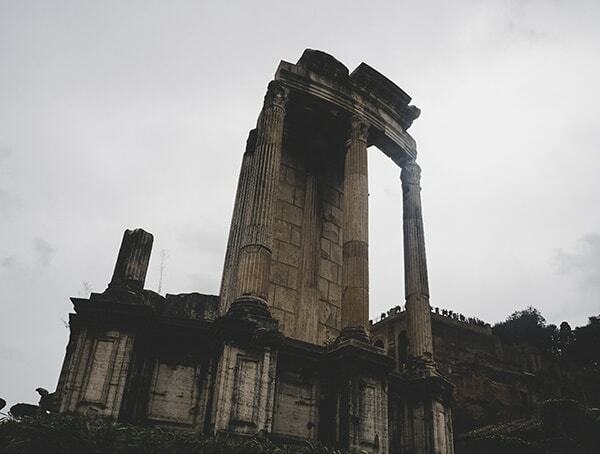 You will see ruins of the once glamorous shrines and temples including the Temple of Saturn, Temple of Concord, Temple of Castor and Pollox, and the Temple of Vesta. 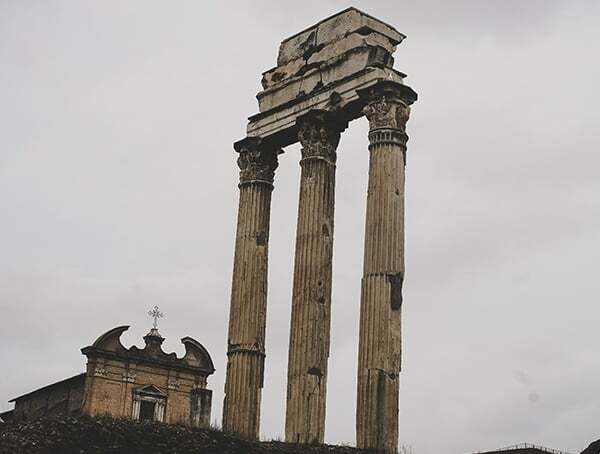 Visiting the Roman Forum today will bring a much different view. 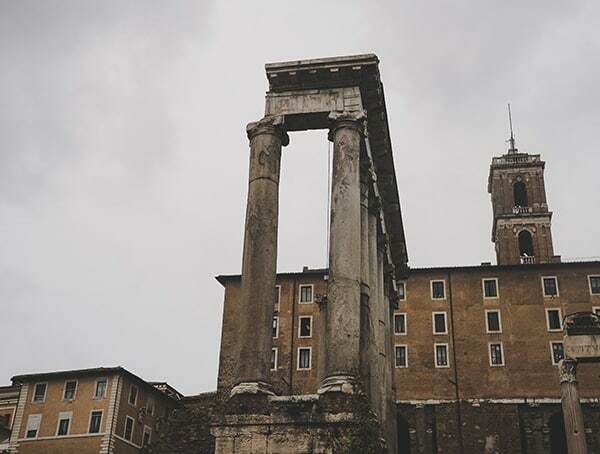 Today the Roman Forum is open to visit from 8:30 AM to 4:30 PM January 2 through February 15 and the last Sunday of October through December 31. From February 16 to March 15 hours are 8:30 AM to 5:00 PM, the remainder of March (March 16 through the last Saturday of the month) the Forum remains open until 5:30 PM. From the last Sunday of March through August 31 hours are 8:30 AM through 7:15 PM, the Forum closes fifteen minutes earlier, at 7:00 PM, from September 1 through September 30. 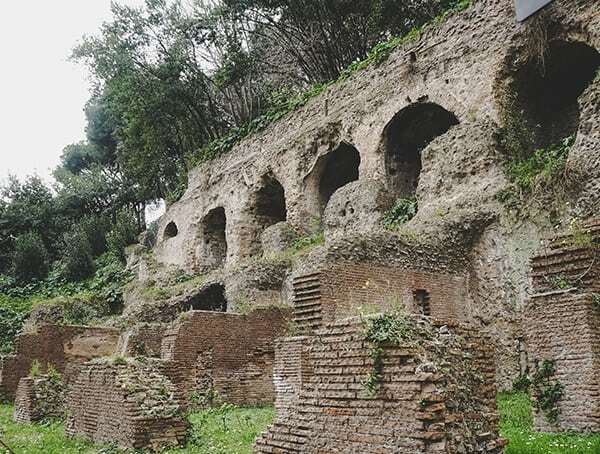 October 1 through the last Saturday of the month the Roman Forum is open from 8:30 AM to 6:30 PM. Last admission is always one hour prior to closing time. 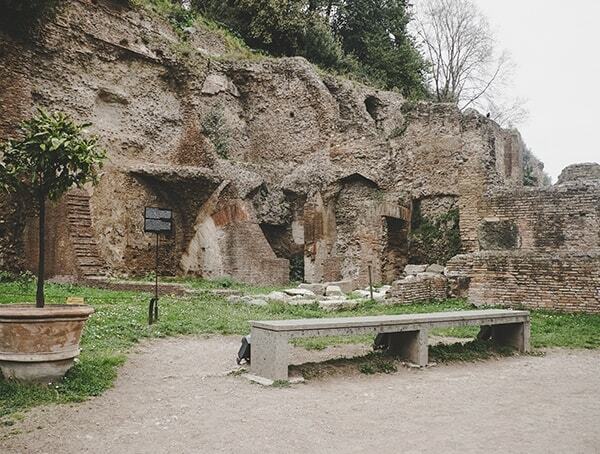 Additionally, the Roman Forum is closed on December 25, January 1, and May 1. Free admission is offered on certain dates and circumstances so be sure to check and see if your visit matches any of those criteria. It is important to note that security restricts backpacks, luggage, and other bulky bags. Additionally, alcoholic beverages, bottles, glass containers, and spray cans are also prohibited. Animals are also not allowed to access the site. 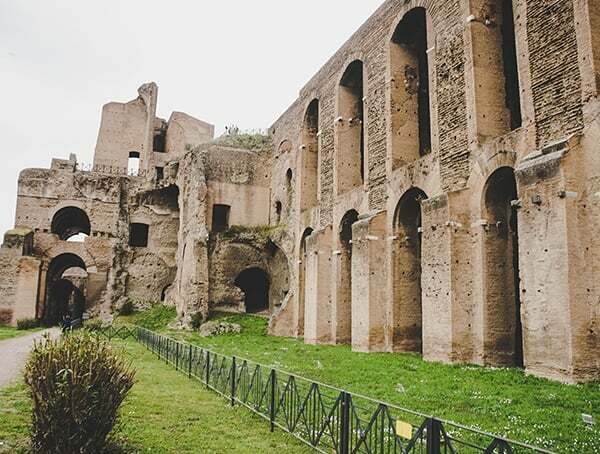 Located between Piazza Venezia and the Colosseum, the Roman Forum will show you the true heart of ancient Roman society. 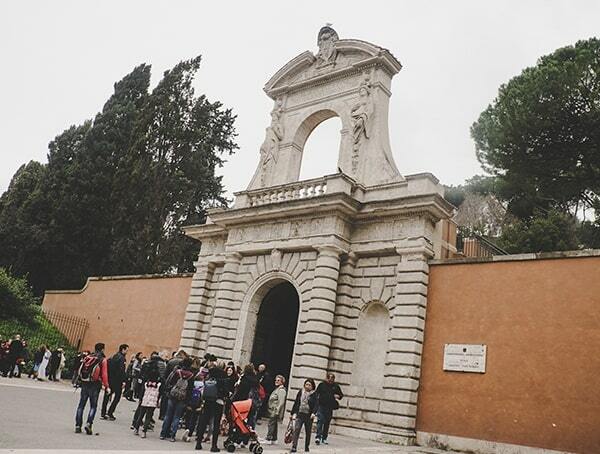 In visiting this site, you will also experience Via Sacra, the main street in Rome linking the Piazza del Campidoglio to the Colosseum. 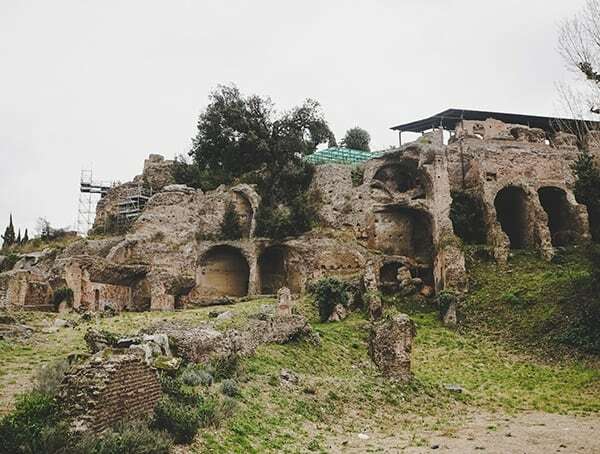 A visit to this area will allow you to see where the infamous Julius Caesar and Marc Antony walked and to experience this ancient city through their eyes. 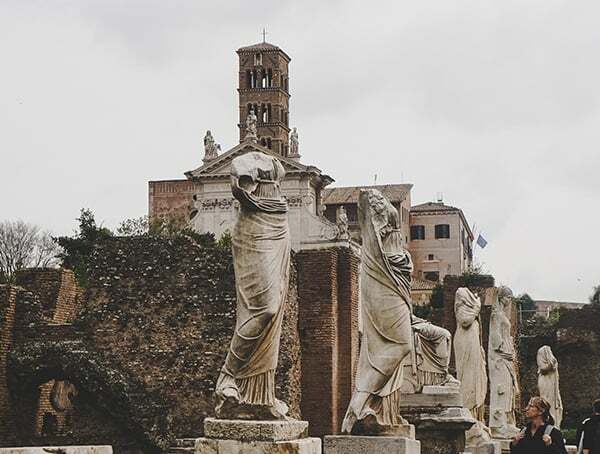 This trip will allow you to enjoy the streets of what used to serve as the political, economic, and religious center of the ancient Roman society.